Yes, I know, these little ones are not new, I am sure you've seen them with a lot of different Disney characters and possibly brands, but I still love them so much! I know too that they have the character to attract kids, but I think is more healthy to make little kids drink water than the sugary drinks with fruit (and totally weird flavours! ), don't you think? Here are the benefits of water, I think is nice from time to time to remember to drink water and how healthy it is, don't you think? - It maintains the body Fluid balance. - Muscle fuel, it gets extra energy when you are tired. - Clearer skin, because it flush the toxins of the skin and can reduce the risk of pimples. - Kidney function, it clear clear away what we don’t need in the body. - Productivity boost; a glass of water could help people concentrate and stay refreshed and alert. - It helps to deal with digestion issues. - Sickness fighter; water may help with decongestion and dehydration. 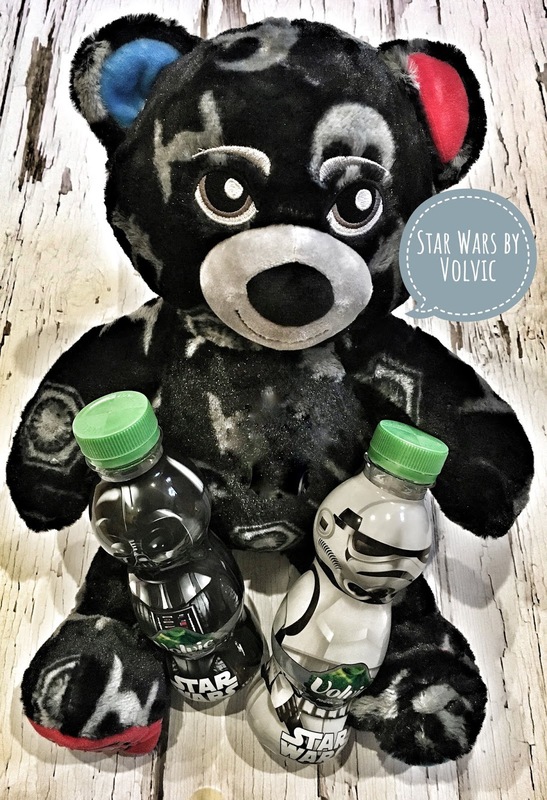 Volvic bottles are not cheap, but I bought these ones in Poundland; 3 for 1'50€, so not as expensive as other bottles and they have the cutie Star Wars character on them, so really, I will not complain at all!